A few months ago when Ani Papyan, a social worker at FAR’s Berd office, was contacted via Facebook by Russian-Armenian youth eager to learn more about her job and how she supports people, she couldn’t have imagined the contact leading to much more than the exchange of a few messages. But Ani’s enthusiasm for her work, and her tales of the progress made by the families with whom she serves through FAR’s Breaking the Cycle of Poverty Program (BCPP) initiative proved infectious. 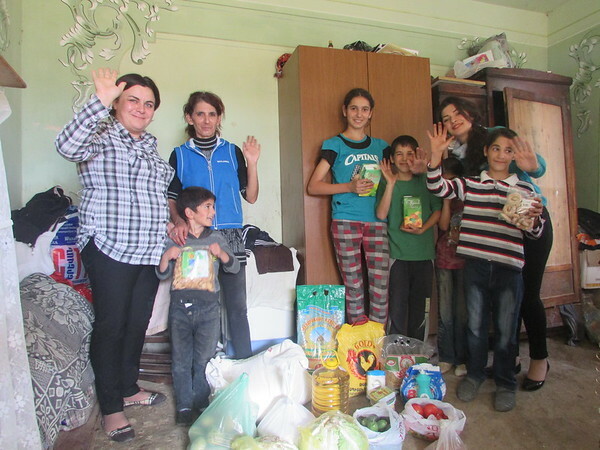 After hearing her stories, the young Armenians from Moscow’s Armenian Youth Association also wanted to help vulnerable families living in the border villages of Tavush Province. Money also enabled two of the families to construct a roof for their houses and install gas heat in their homes.